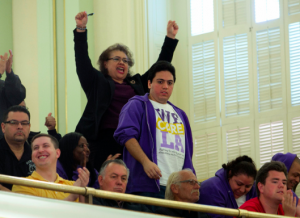 California lawmakers on Thursday passed a statewide minimum wage of $15/hr to take effect by 2022 after after being pushed by democrats who face a increasingly wide gap between the poor and the rich. The legislation now goes to Gov. Jerry Brown, who is has said that he will happily sign it after consulting with advisors. Brown says the measure approved by the Legislature demonstrates California’s ability to protect the welfare of their people and balance it was the needs of the government. The state of New York plans to follow California’s lead. Democrats who control both legislative chambers in California said that the increase was an important step in the battle against financial discrepancies among workers. Republicans, on the other hand, have echoed the sentiments of economists, saying that the drastic increase will eventually lead to inflation and paint California in a negative light in the eyes of business owners. The Assembly passed SB3 with a 48-26 vote. The Senate followed, 26-12. The increases would start with a boost from $10 to $10.50 on Jan. 1. Businesses with 25 or fewer employees would have an extra year to agree to the boost. Increases of $1 an hour would come every January until 2022. The governor is allowed to delay increase in times of economic crisis or hardship. California’s current $10 an hour minimum wage is tied with Massachusetts for the highest among states. 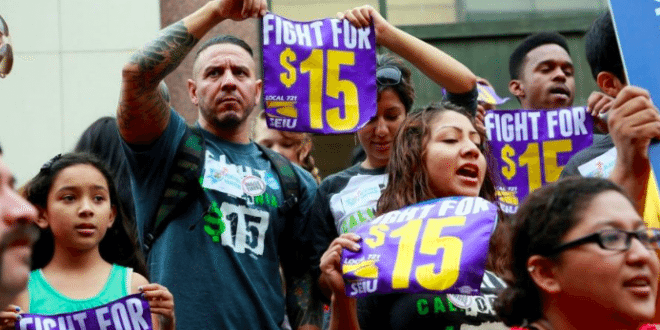 Los Angeles, Seattle and other cities have recently approved $15 minimum wages, while Oregon officials plan to increase the minimum to $14.75 an hour in cities and $12.50 in rural areas by 2022. In New York, Gov. Andrew Cuomo and state lawmakers continued to debate on Thursday over Cuomo’s proposal to increase the state’s minimum wage from $9 to $15 by the end of 2018 in New York City and by mid-2021 elsewhere in the state. Brown, a Democrat, was hesitant to raise the minimum ways in the past. He negotiated the deal with labor unions to lead competing labor-backed November ballot initiatives that would have implemented fast increase but without the parameters and safeties detailed in the recent legislation. Brown now says the most populous state’s fast-growing economy can handle the raise without the setbacks that many opponents fear. About 2.2 million Californians now earn the minimum wage. The University of California, Berkeley, Center for Labor Research and Education, projected the increase would have a “ripple effect for those whose wages would increase to keep pace.” The researchers predict that it would increase pay for 5.6 million Californians by an average of 24 percent. “More than a third of the affected workers are parents. Latinos would benefit most because they hold a disproportionate number of low-wage jobs,” the researchers said. The right-leaning American Action Forum countered that statement by projecting a loss of nearly 700,000 jobs. The increases are predicted to ultimately cost California taxpayers an additional $3.6 billion annually for higher government employee pay. Some members of the Legislature called for the need to decrease the wealth gap as reasoning to voting in favor of the wage increase. “While we have made great strides in recovering from the economic recession, we know the bulk of that growth has been to the benefit of the top 1 or 2 percent,” said Assemblyman Roger Hernandez, D-West Covina. “Too many workers are working full-time for poverty wages.” State Sen. Isadore Hall, D-Compton, said many workers are struggling to cover living expenses. 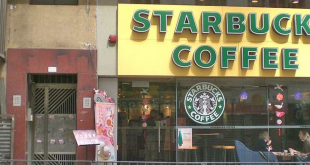 “They’re trying to figure out a way to buy their children diapers,” she said. “They’re finding out a way to buy their children milk. Or how might they be able to pay their utility bills.” Assemblyman Jim Patterson, R-Fresno, believed that this new increase would force small business owners to make layoffs “with tears in their eyes,” resulting in a decrease in the employment rate. “Business owners are going to go, is this an April Fool’s joke?” Sen. John Moorlach, R-Costa Mesa, added. After the Assembly and Senate votes, several dozens of supporters convened on the lawn outside the Capitol for a labor-organized rally. Many waved signs saying “$15 California.” Krystine Wilson, 27, of Carmichael said that the raise will help her avoid taking on late shifts and worrying about where her next meal is coming from.